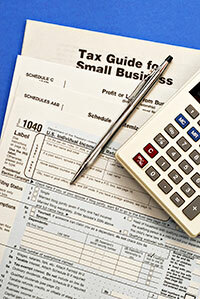 A variety of small business tax returns are prepared each year. We prepare Sole Proprietorship Schedule C's, Corporations, S Corporations, LLC's, Partnerships, Non-Profit Organizations, Trusts, etc. We provide a range of HR and Payroll processing options for the small to medium-sized business: * "After-the Fact" Payroll - you pay you employees and make tax deposits, and we provide preparation of quarterly and annual payroll tax returns. * Partial Payroll (with or without accounting software integration) - we prepare you payrolls and quarterly/annual payroll tax returns & W-2's, but you make your own tax deposits. * Full-service Payroll (with or without accounting software integration) - we prepare you payrolls, make the tax deposits for you, and prepare and file your quarterly/annual payroll tax returns and W-2's. *HR (Human Resouces) - a range services are available depending on the needs of your business and the degree to which you wish to outsource these services. We help you determine the best legal and tax structure for your business and help you set it up right. We are QuickBooks 2010 Certified Pro Advisors and can help you select the appropriate QuickBooks option for your business. We also can help you set it up for optimal benefit and train you and your staff how to use QuickBooks. Does your business need the knowledge and experience of a CFO or Controller, but can't afford to hire a full-time professional? We can help! We provide professional CFO / Controllership services on an hourly or per diem basis. Contact us to find out how this may help you fill a critical need in your business.